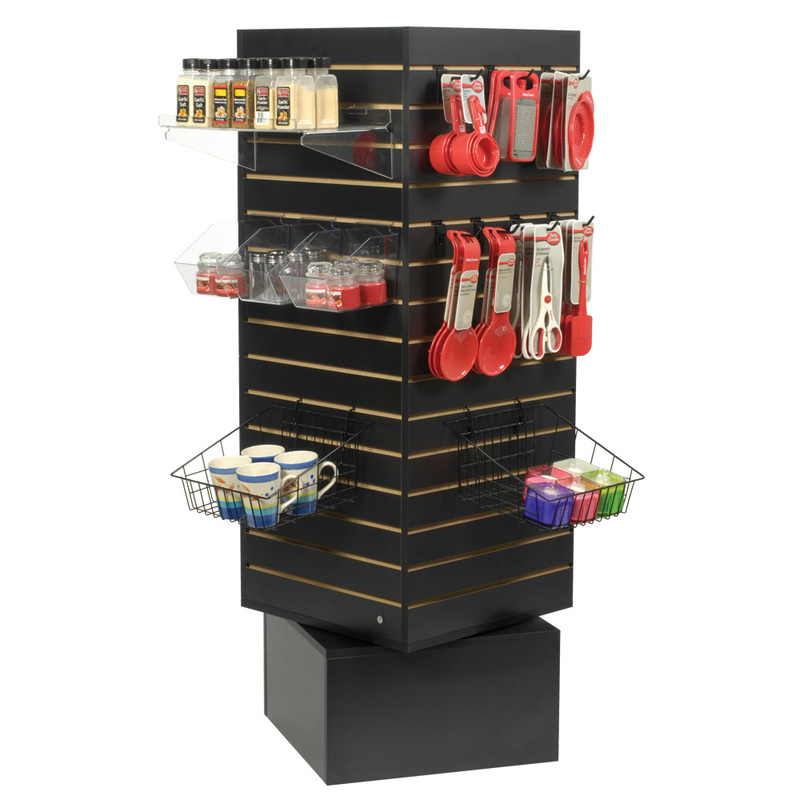 Available in Maple, Cherry, White or Black - choose a color that best fits your store`s design. 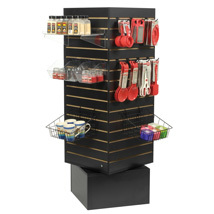 This Revolving Slatwall Display accepts shelves up to 18 in. wide and can use any slatwall accessories. Thick edge banding on slatwall grooved edges ensures your slatwall units will continue to look great for years. Optional casters available, search item 3504. Item ships unassembled to reduce shipping costs.